Discussion in 'Magazines' started by vogue28, Apr 5, 2019. Benn98, Morgane07 and tigerrouge like this. 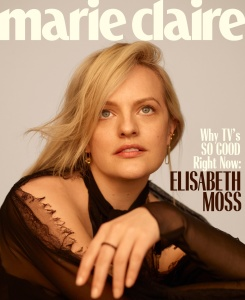 Marie Claire is really killing it! TaylorBinque, RMDV and tigerrouge like this. Wow, these covers are beautiful. Not glamorous, quirky, or raw - just beautiful. And that's so rare on the newsstand nowadays. 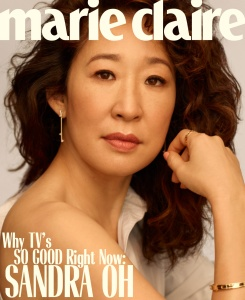 US Marie Claire were the first to give Sandra Oh a cover many years ago when others wouldn't even consider her for a feature, so her cover feels extra special. And I also think Elisabeth is really stunning here. Thandie's makeup is a bit iffy, and I'm not sold on the dress, but the framing and composition of her cover is my favourite. I'm consistently impressed with Kate Lanphear's fashion direction in this magazine. She's bringing a very interesting mix of photographers on board. I do hope they'll work more with Whiteside. 333101, TaylorBinque, RMDV and 1 other person like this. WOW WOW! THOSE COVERS ARE BEAUTIFUL!!! I am here for this. All three cover choices are covers are strong. Love Sandra especially. Perickles, Benn98, TheoG and 2 others like this. Three stunning and powerful women, so different from one another, in all ages and colors without the ''Groundbreaking diversity'' or ''Coming of Age/Age Issue'' slogans thrown all over them. This! This is how you do it appropriately. God, how I wish Vogue (or anyone else for that matter) had the ability. Gorgeous covers of three very beautiful women. I'm very happy to see Sandra here! aracic and dfl-001 like this. Elizabeth's last shot is gorgeous! My favorite! Eat your heart out, Vogue. This is truly stunning. All three covers are beautiful and such deserving cover choices. Thandie Newton has to be one of the most beautiful and cool woman working in Hollywood. All of the covers/spreads are very handsy but they're great! I love everything, but Sandra's cover makes her look a bit tired? Holy smoke! These covers are banging! I am absolutely in love with the framing and composition of Thandie's cover. The cropping looks just perfect. 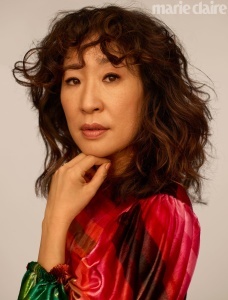 And personally I adore Sandra Oh and everything she does. This cover is gorgeous. 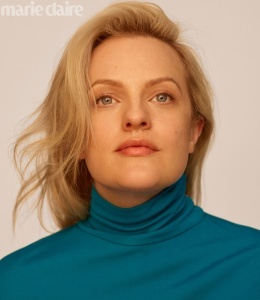 Also a very good, not quirky nor awkward shoot of Elizabeth Moss. All of the images could work as main cover! Stunning! I love the fact that they don't go overboard with photoshop. A genuine attempt demonstrating their natural beauty. Magazines should apply this "show, don't tell" premise more often.